Description: A combination of energy efficiency and design. Shangri-la shades are one of the most unique, innovative treatments available. 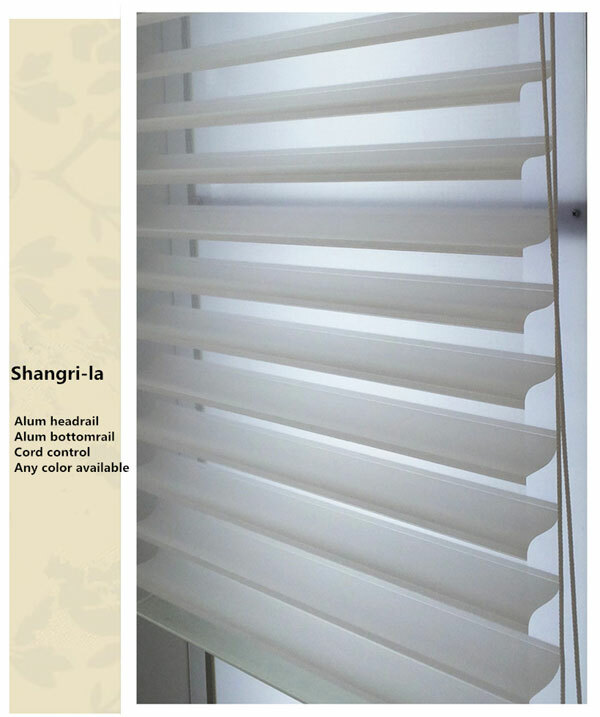 They combined the softness and light filtering effects of a drapery with the light control of a horizontal blind.